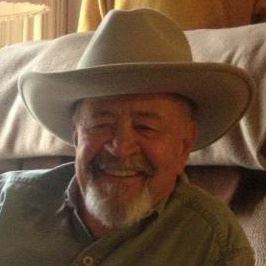 Ralph Gene Grider, 76, passed on peacefully from this life on November 30, 2018. Ralph was born in Russell County to the late Claude and Della Mae Grider. A Marine veteran, he retired after thirty-four years from GE. He will be remembered for his great, dry sense of humor, his love for travel and camping, his successes as an avid vegetable gardener, and his dedication to practicing softball with his daughters. He was preceded in death by his parents, and siblings Earlene Hensley, Judy Lyons, Glen Grider, Randall Grider, Claude Bradford Grider, Jr., and Louie Grider. He is survived by lifelong companion Charlotte (Sherry) L. Grider (Lanter), his wife of fifty-five years. Survivors include his daughters Christine Huff (Greg), Michelle Netherton (Bill), and Stephanie Tittle (Kirkby); siblings Johnny Noel Chapman, Richard Grider, Vera Ruwe, Barbara Sue Durbin, Brenda Ballard (Chuck), Linda Gaines (Donnie), and Michael Grider (Kathy); Brother-in-law Ted Lanter (Cathy); Sister-in-law Betty Beard; Grandchildren Cameron Huff, Corey Leigh Huff, Kayla Huff, Andrew Netherton, Elaine Netherton, and great-granddaughter Beckley A. Savino. Visitation will be 4-8 p.m. Monday December 3 and 11 a.m.-1 p.m. Tuesday December 4 with funeral at 1 p.m. at Stoess Funeral Home, 6534 State Hwy 22, Crestwood. Burial immediately following at Louisville Memorial Gardens East. The family asks that in lieu of flowers, memorial contributions may be made to Hosparus Health of Louisville (www.hosparushealth.org/donate). Online condolences may be shared at https://www.stoessfh.com.